It is a failure of care in our hospitals which the public knows nothing about. Every year, patients are admitted to hospitals when families or authorities believe they pose a risk of harming themselves. Occasionally, guards watch over them, but more often nursing staff and doctors are responsible for the suicide watch. In many hospitals that means checking on the patient every fifteen minutes, administering medications, and sometimes the beginning of psychiatric care. For families of those admitted, the hospital is usually the last resort. Mental health organizations regularly advise friends and families of those exhibiting suicidal tendencies to seek help from the nearest hospital. For families it is a relief, as they are relieved of the burden of worrying that their family member will take their life, believing the hospital will provide constant watch and care. Families are often reassured by hospital staff that they have made the right choice forcing their loved ones to be admitted. In June 2014, Prashant Tiwari, 20, was able to take his life while under suicide watch at the psychiatric unit at the Brampton Civic Hospital. While there Prashant was supposed to be checked every 15 minutes. On June 26 he went missing and was found three hours later by hospital staff. He had used his bathrobe and a chair that was left in the hospital washroom to hang himself from a ceiling grate. His family has no idea how this could happen while Prashant was supposed to be supervised. “He didn’t need to die and that’s, that’s one of the most frustrating things to deal with; that my brother did not need to die,” said his brother, Gautam. A months-long investigation by CTV’s W5 has revealed that the hospital now admits proper procedures weren’t followed in Prashant’s care, including leaving him unattended for three hours. Dr. David Koczerginski, William Osler Health Group’s chief of psychiatry, told W5 in an interview that the chair should never have been left in a ward designed for suicidal patients. "Any chair that would be in the shower would be an error, a mistake, should not be there." Prashant’s father, Rakesh Tiwari, provided W5 with a copy of the letter the hospital sent him recently, noting that three staff who were involved with his son's care when he went missing, haven't worked at the hospital since the day of Prashant’s death. But Dr. Koczerginski would not confirm whether they had been dismissed, refusing to comment in public about something he considers a “human resources issue”. “I have great confidence in the staff and physicians that work in this hospital in the area of mental health and addictions,” added Koczerginski. Hospitals in Canada are under no obligation to publicly report the results of their internal investigations when someone takes their life while under suicide watch. In some jurisdictions, public or coroner’s inquiries are launched, but not in the majority of inpatient suicide cases. With in-hospital suicides mostly hidden from the public, there are no statistics collected in Canada on how often they occur. Through freedom of information requests filed in every province over many months, W5 was able to extrapolate data to produce a national picture of inpatient suicides. 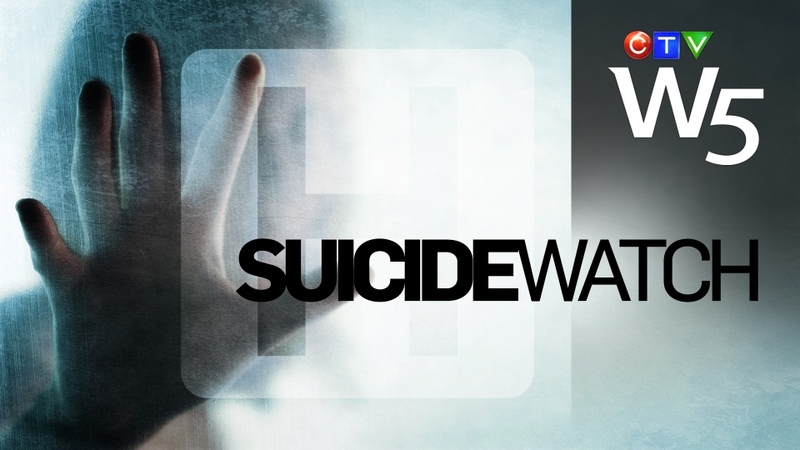 It is believed that there have been approximately 300 deaths over ten years involving suicidal patients who were supposed to be on strict watch. Ninety-eight of those cases occurred in Ontario. The reports obtained from every province and territory contained varying information and detail. Five provided full information, including year and hospital name. Others refused to provide detailed information, claiming it could be used to identify the deceased. One province, Saskatchewan, was unable to separate suicides and suicide attempts in their statistics. “Based on the available data, the rates of in-patient suicides have remained stable over the past decade,” said Hitzig. Skip Simpson, a lawyer who works exclusively on suicide cases and an adjunct associate professor at the University of Texas Health Science Center in San Antonio, said hospitals should not take the view that occasionally these deaths will happen. “Their argument (hospitals) is that we can’t put everyone on one to one observation level. My answer to that is why don’t you put a sign over the front of the hospital that says this particular hospital is not safe for suicidal patients,” said Simpson. In the United States The Joint Commission, which accredits hospitals, says that inpatient suicide has been among the top five serious or sentinel events in hospitals in the United States for decades. Dr. Geetha Jayaram, a physician advisor and associate professor at Johns Hopkins Hospital in the United States and an expert in patient safety and inpatient suicide, said there is a lot that can be done to prevent these deaths from happening. Jayaram said that in the 32 years she has worked in Hopkins intensive short stay acute care unit they haven’t had one inpatient suicide. W5’s investigation found many patients who were able to locate the means to take their lives within Canadian hospitals themselves. Some were able to obtain razor blades, shower rods were left in place, and in at least one case, a suicidal patient was able to jump out of a window from several stories up. For Lynn Allan from Mission, British Columbia, getting her 22-year-old son, Ross, into a hospital was a relief. The avid skier, who had graduated from high school, winning scholarships, had been struggling with schizophrenia for several years. In the spring of 2008, he had decreased his medication, was paranoid and had threatened suicide. His family tried to take him to the hospital to get help, but when Ross refused to go, they required assistance from police. “Once it happened and they finally got him to hospital, we breathed a sigh of relief because we thought, okay, he’s finally in the place, the one place that’s going to do him some good, the one place that can help him,” said Lynn Allan. Yet Ross, who was supposed to be under continuous observation by hospital staff, was able to obtain a knife and use it to cut an electrical cord from a hospital bed in a hallway and then use the cord to hang himself in a staff washroom. The hospital staff did not find his body for almost four hours after he had already taken his own life. A hospital security video, obtained by W5, shows Ross roaming the hallways, carrying the electrical cord as he walks past hospital staff. Six years later, Ross’s mother still has many questions about how her son was able to take his own life in the very place where they brought him to be safe. “Couldn’t somebody have done something? Couldn’t somebody have stopped him?” asked Lynn Allan. Andy Libbiter, Mental Health and Substance Use Services for the Fraser Health Authority and the Executive Director of Langley Memorial Hospital, was interviewed by W5. “Mental illness has a certain level of morbidity, just as heart disease does, or cancer does. Our responsibility though is to mitigate the risk of people taking their lives and as I say, treat the underlying causes of suicidality,” said Libbiter. A coroner’s inquest was called into the death of Ross Allan. It led to 43 recommendations to prevent similar deaths from happening. However, W5’s investigation reveals even after these recommendations, the Fraser Health Authority, responsible for the hospital where Ross Allan died, had three other inpatient suicide deaths and British Columbia has had at least 15 inpatient suicides since his death (numbers for 2014 are not available). But the Fraser Health Authority and British Columbia are not alone. In addition to the inquest into Ross Allan’s death there have been numerous coroner’s inquests, public fatality inquiries and investigations into these deaths, with many making similar recommendations for patient observation and improving safety of hospital environments. However these investigations don’t seem to have made an impact on the numbers of Canadians who have been able to take their own lives while in hospitals and other health facilities. Former B.C. coroner Kathleen Stephany believes more transparency and keeping better track of hospital suicides is important. “You have to begin from facts and if the facts are there, then we can use that information to develop policy” said Stephany. “What we need in Canada is we need a national strategy for suicide prevention. It would make a huge difference because you would have standards of practice for every single hospital in the country”. It’s a call echoed by the families of Ross Allan and Prashant Tiwari, who are speaking out in the hopes that the tragedies they endured won’t be faced by others. "The tip I would like to give to family members who have loved ones in hospital with suicidal ideation is to ask the staff to sit down with them and develop a safety plan that consists of reasons for living, ways to cope with their suicidal thoughts without self-harm, and five people to call when they feel hopeless. A family member can be involved in the process. Another thing is telling them that they really love them and want to have them stay alive." - Kathleen Stephany, former B.C. Coroner, registered nurse and psychologist. Prashant Tiwari's brother Gautam shares a new song and video he and his brother’s best friends have published in his memory. 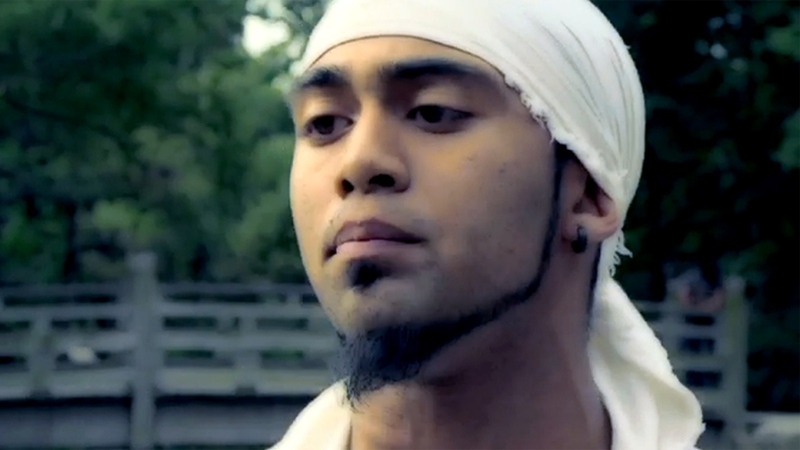 "In light of Prashant's death we decided to make a song that would not only pay homage to him, but try to accomplish what he so desperately wanted to accomplish while he was living. The song 'Elevate' is meant to tell a classic tale of a struggling person (in this case a prostitute) and the daily trials and tribulations they must go through. Prashant was an activist through and through who wanted to bring change and light to groups who were socially neglected. We decided to not to make this song about the issue of suicide, but instead to draw parallels to the issue of depression in general using another topic; prostitution. This way, more people could understand the concept as opposed to just the people who were directly affected by suicide. We felt it much more appropriate as we weren't comfortable at this point in making a direct homage. It would feel like an exploitation of Prashant's struggle which we value the privacy of. Most importantly we want people to know that if they want; they can 'elevate' beyond their struggles no matter the hardship. We wanted to show people that there is a light at the end of the tunnel and this was our way of doing it." Data obtained by W5 in a months-long search has revealed that in the past ten years hundreds of Canadians have taken their own lives while in the care of hospitals. Former B.C. coroner and nurse instructor Kathleen Stephany speaks to CTV's W5.